"That guiding idea of nonintervention -- developed by the colonists in rebellion, espoused to great effect by the brilliant pamphleteer Thomas Paine, and crystallized as a national treasure in the final speech to the nation of George Washington -- is as fresh and viable a construct as any of the great ideas that have guided our governance. 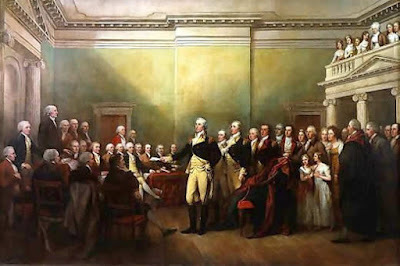 Washington's Farewell Address, actually a carefully considered letter to the American people crafted in close consultation with Alexander Hamilton and James Madison, is one of our great treasures, but although read each year in the U.S. Senate to mark Washington's legacy, it contains a caution largely ignored by those same senators as they gleefully approve massive spending to enable international meddling of every sort. Their failed responsibility to limit the president's declaration of war has become a farce that as much as anything mocks Congress' obligations as laid out in the Constitution." We had a chance to reshape the world after the Cold War, after 9/11.... but this isn't what I had in mind at all! What have we become with our insane foreign policies? We need to get back to basics and have our government act within the bounds of the Constitution. That alone would have prevented the Iraq debacle. We need more talk about these big themes, and that's why I liked Ron Paul. Barry would do well to adopt some of these broader ideas and reignite the real patriotism of the Founders, rather than this false patriotism we see today from the likes of Sean Hannity. "Thanks in part to McCain's vigilance, a defense contracting scandal he exposed resulted in a Pentagon procurement officer and the CFO of Boeing being sentenced to federal prison when it was revealed that the Air Force was leasing unneeded air tankers at an initial cost of $30 billion. It was not the first time that McCain had risen on the Senate floor to accuse the Pentagon of being in cahoots with defense industry lobbyists, and he does deserve high marks for being one of the few members of Congress willing to hold the military-industrial complex accountable. But we hear little from that McCain these days as he goes on and on praising a pointless war in Iraq that has become the main excuse for wasting trillions in so-called defense dollars. This last is the deal breaker. It is simply not possible to be a genuine small-government-give-taxpayers-a-break president while planning to pour trillions more down that rathole of failed imperial adventures." This is my biggest problem with McCain. He knows we're wasting trillions of dollars in Iraq, and how bad that is for our economy, and the future of our country. He's long been critical of wasteful spending, and that's great. But we could stop a thousand "bridges to nowhere" and still be stuck with huge debt from Iraq alone. 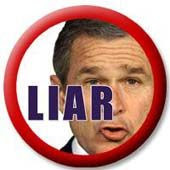 We're not going to solve our debt crisis unless we leave Iraq, or find a way to take all their oil. What's it gonna be, John? Did you know, John McCain lost 5 planes for the Navy? "McCain may be attempting to hide why the Navy was in fact slow to promote him upwards despite his suffering as a POW and his distinguished naval heritage. One possible reason: After McCain had returned from Vietnam as a war hero and was physically rehabilitated, he was urged by his medical caretakers and military colleagues never to fly again. But McCain insisted on going up. As Carl Bernstein reported in Vanity Fair, he piloted an ultralight single-propeller plane -- and crashed another time. His fifth loss of a plane has vanished from public records, but should be a subject of discussion in his Navy file. It wouldn't be surprising if his naval superiors worried that McCain was just too defiant, too reckless and too crash prone. 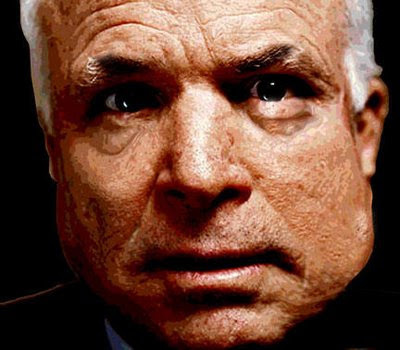 Regardless, McCain owes it to the country to release his complete naval records so that American voters can see his documented history and make an informed decision." Wow, five planes! What a hero... or what a crappy pilot? Hard to say. And it was his plane that started the Forrestal tragedy. Surely these weren't all his fault, but hey, that's some bad luck. 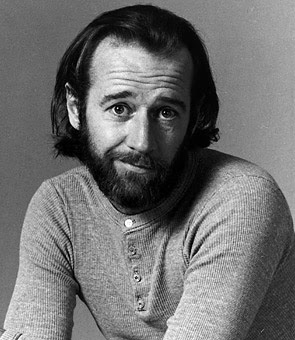 George Carlin was a genius, and had the greatest grasp of the English language of anyone I've ever seen. He made me think, laugh, question.... once he made me pee in my pants. Some of his bits made me uncomfortable, made me question things that were 'givens'. Get on the plane. Get on the plane." I say, "***** you, I'm getting IN the plane! IN the plane! Let Evil Knievel get ON the plane! I'll be in here with you folks in uniform! There seems to be less WIND in here!" Here's hoping GC's enjoying Cloud Eight. He's not getting any older! 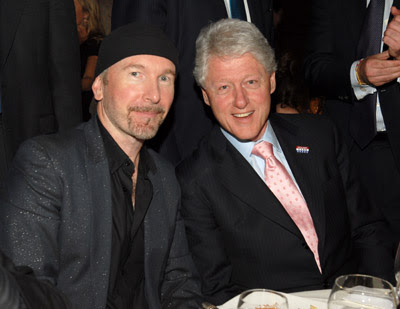 "The Edge seemed more interested in talking about the U.S. presidential race. Wondering whether "Americans really are ready for a black president," The Edge said he hoped so, but predicted "it's going to be very, very close ... perhaps as close as the one in 2000." Whatever the outcome, The Edge, like virtually every European I met the past two weeks, is convinced either Barack Obama or John McCain will greatly improve America's standing on the world stage." CHAPEL HILL, N.C. --- Wayne Ellington, Danny Green and Ty Lawson have decided to withdraw from the 2008 NBA Draft and return to Chapel Hill for the 2008-09 season, head coach Roy Williams announced on Monday. I would like to see Obama announce one cabinet appointment every week or two in the weeks or month preceding the convention. This would accomplish several things. First, it would give us a chance to see what his administration would look like. Second, it would reassure those who don't know Obama or have concerns about him what kind of people are advising him and which direction his administration will likely move. Third, announcing a high level appointment each week would create a drumbeat of news at a time in which there isn't much and would get Obama some positive attention in the press. Fourth, it would provide Obama with several heavyweight surrogates who can help defend him against unfair attacks during the general election. 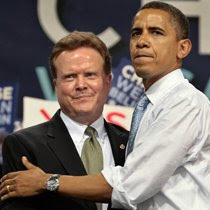 Imagine Obama selecting John Edwards as Attorney General, Bob Graham to head Homeland Security, Richard Gephardt as Secretary of Labor, Sam Nunn as Secretary of Defense, Joe Biden or Bill Richardson as Secretary of State. Most have already been vetted in national campaigns. Most are southerners and would appeal to whites who may have concerns about voting for a black president. 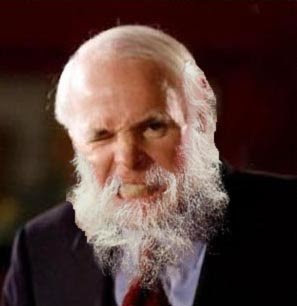 This would also reduce the importance of the vice presidential pick. Instead of counting on one announcement to act as a magic bullet to appeal to all groups Obama needs to court, he can select a few people who can help him in different ways -- Biden on foreign policy, Richardson with Hispanics, Graham with Florida and so forth. Just a thought. Nice plan Dan, I like that thinking! ....overstated, mis-claimed, inflated, oversimplified, misused.... but not lied. Can we go as far as to say deceived? The New York Times: "Bush Overstated Evidence on Iraq, Senators Report"
San Francisco Chronicle: "White House scolded on prewar claims"
Detroit Free Press: "Officials' Iraq claims unsupported, report says"
Washington Post: "Bush Inflated Threat From Iraq's Banned Weapons, Report Says"
Bloomberg: "Bush Oversimplified Iraq Intelligence, Report Says"
Reuters: "Bush misused Iraq intelligence - US Senate report"
I know, we can call him "The Mis-Leader", perfect!